Hire our Tree Service in Orlando Today! Tree care and maintenance is important to maintain the beauty of your home or office and to maintain the integrity and health of the tree. Trees are an important part of our lives as they provide not only beauty, shade, but necessary oxygen. For most people, maintenance for lawns and outdoor plants is merely an afterthought given how well they usually care for themselves. The point of hiring an expert Orlando Tree Service Company is to ensure body and property safety while also making sure that your trees are taken care of. There are so many different Tree Services in Orlando, so why choose us? We always take great pride in the way that we care for your trees. Our aim to protect you, your property, and your trees and lawn. We always strive to safely remove, trim, clear or cut your trees while doing it in a way that makes your property look better, the tree look and feel healthier. 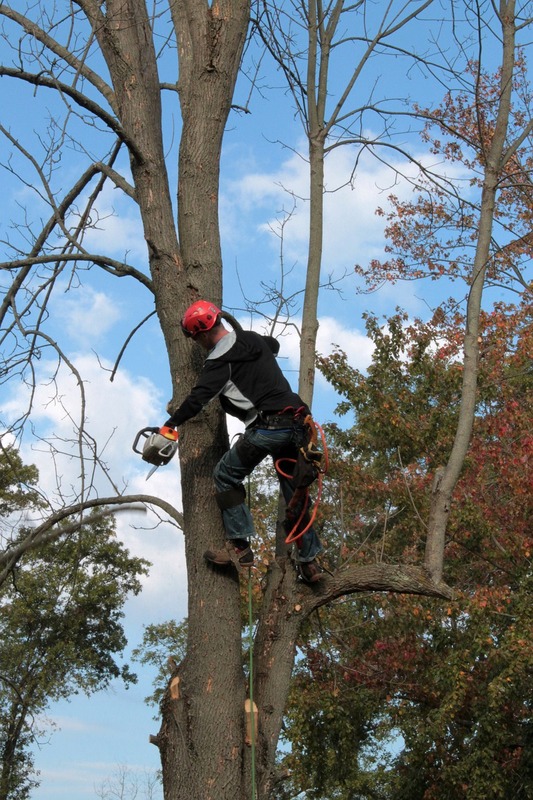 From removing branches that are diseased to the reshaping and trimming of massive trees, there’s no job too big or too small that we can’t handle professionally and efficiently. We have the tool, skills, and knowledge to tackle any obstacle your property might have. When you choose us, you’re choosing to support your community. With so many different tree services in Orlando, with most not even being local, you might instinctively want to go with the “big name,” national guys. However, when you use our service you’re supporting local families just like yours. Our team is full of highly skilled and knowledgeable individuals who work and live within the Orlando community. When you support us, we support you. Choosing us helps to stimulate the local economy and keep Orlando looking beautiful. We take great pride in our work and we truly believe in leaving something looking better than when we first found it. It’s impossible to control Mother Nature, which is why we like to keep our prices in control. With upfront pricing and no hidden fees, you can feel confident when you choose our tree cutting services. You won’t have to worry about surprise small fees or hikes in prices after a bad storm. That’s because just like you, we not only work in Orlando, but we live in Orlando as well. When a bad storm hits you, it hits our home too. We’d never want to practice predatory pricing on our neighbors. We enjoy keeping our community beautiful, which is why we are committed to keeping our prices affordable. Just because we remove trees from time to time doesn’t mean we don’t love trees. We are so committed to being green that we will even replant new trees for you. We always practice green thinking when removing, trimming, or clearing a tree. Giving back to the Earth is so important to us and we always leave your space looking more beautiful than when we found it. Need help with a tree in your yard? Call us the Orlando Tree service experts! For years we have been Orlando’s answer to everything from tree maintenance and care to tree removal. We can easily handle trimming, cutting, removing, and all your shaping needs. There is no tree too big or too small that we won’t handle. No other service in town is as committed to your happiness and the beauty of your tree and property as we are. We never price gauge and we never hide costs from you because we believe in 100% pricing transparency. If you’re looking for a tree service near you then you’ve found the right place. We love going above and beyond for all of our clients and we treat your home just as if it was our home. You are our neighbors and friends. Choosing us is choosing Orlando. When you support us, you support the entire community. If you’re having issues with a tree in your yard call us today. We’d be happy to come out, take a look, and give you a quote. Learn more about our other services online.